This pizza is so simple, with just a few ingredients, and can be customized for any family. You can even use this recipe for the “base” and add whatever your family LOVES on their pizza to make it your own. 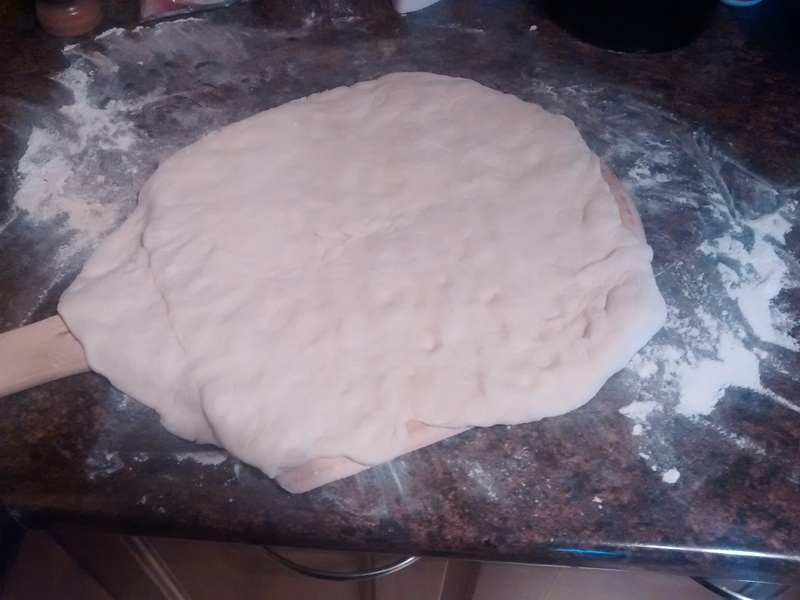 1 pizza dough (you can make your own or use store bought!) make sure it is at room temperature and ready to be worked! 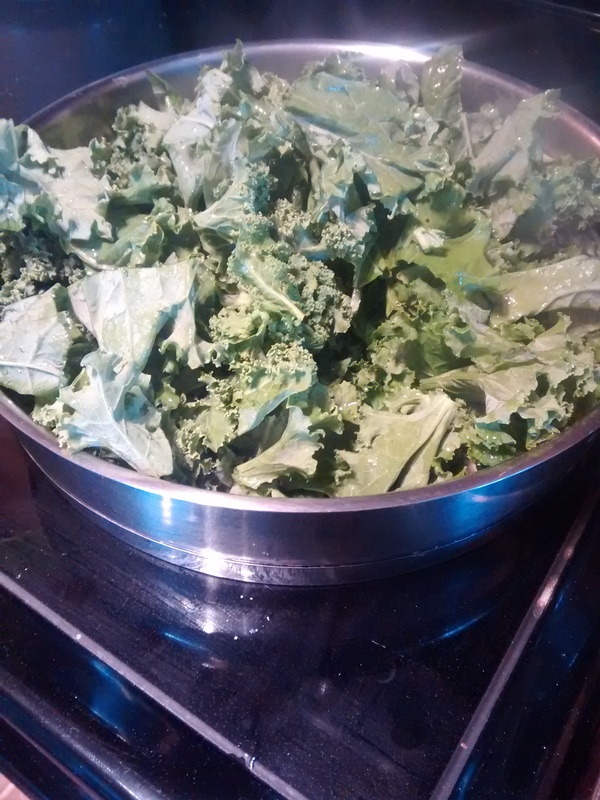 You’re going to start by soaking your kale in a sink of cool water for about ten minutes. This ensures all those little pieces of dirt rinse off and sink to the bottom rather than make their way onto your yummy pizza! Now it’s time to assemble the pizza! We use a pizza stone, but you can use a baking tray or pizza pan if you prefer that! I love the stone as it gets the crust nice and crunchy and helps to keep the heat in the oven for a higher cooking temperature! Start by stretching out your dough on a cornmeal coated counter until it is about 1/4″ in thickness. Add additional cornmeal to your pan or stone to get that nice crunchy crust! Now your layers! Lightly drizzle the dough with some olive oil (not too much as the kale has butter!). Sprinkle with your desired herbs, just enough to colour the surface. 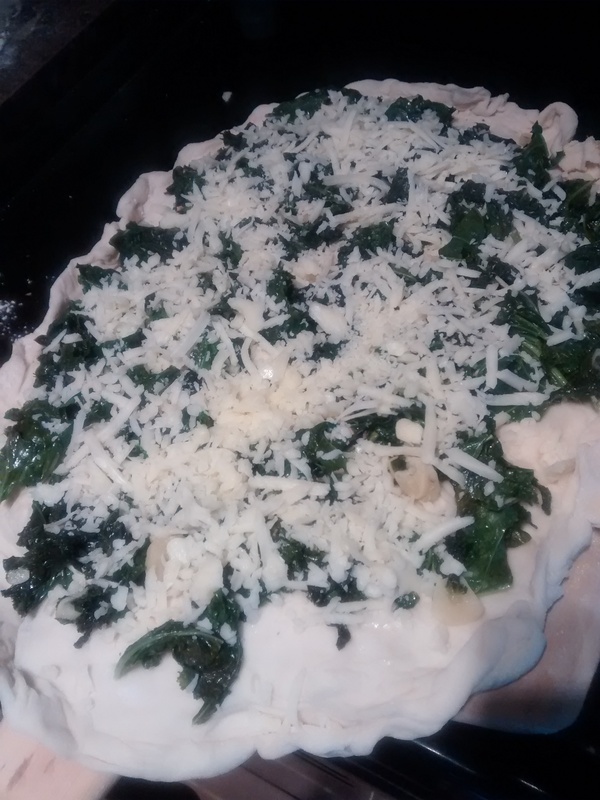 Add your kale evenly to the dough using a fork to pull it across. 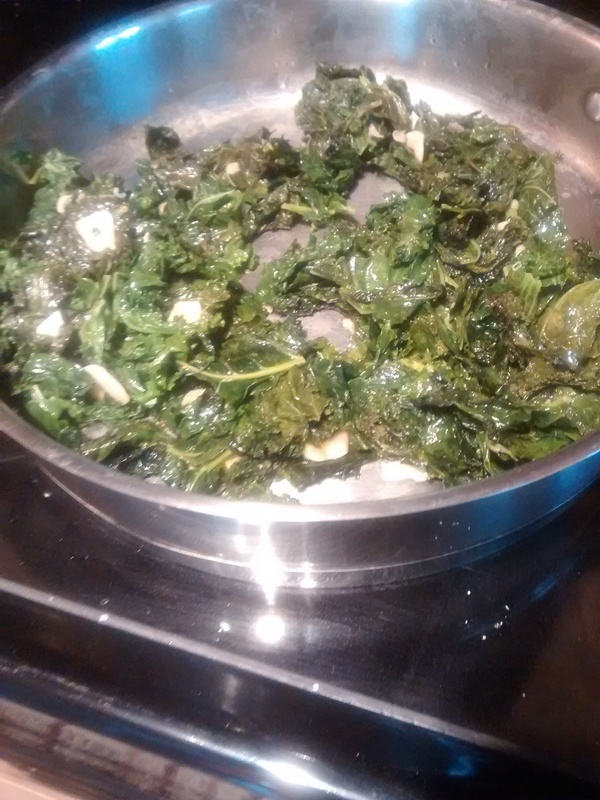 Lastly, cover the kale with your cheese so you can see green poking through. Time to bake! Place your pizza in the oven and bake until lightly golden around the edges (about 10 minutes). If you like a crispier crust feel free to go longer. The nice thing about this pizza is how QUICK it is to make! You can even prep your kale on the weekend so that you literally just have to assemble and bake for a quick weeknight meal. Now, get cooking and let me know what you think of this delicious and super healthy pizza!